Sustainability issues such as energy, water quality, and climate mitigation and resiliency are becoming increasingly important to cities in Minnesota and across the country. At the same time, it is challenging for city staff to focus on improving citywide sustainability given the daily needs and priorities of government service delivery and operations. To learn how cities in Minnesota are working to address sustainability issues, I spoke with two city staff members who focus specifically on environment and sustainability. I was interested to find out more about their role in planning, implementing, and reaching climate, energy, and resiliency goals and how their roles accelerate this work. Shannon Pinc is the environment and sustainability coordinator in St. Louis Park. In her role, she focuses on energy, renewables, and efficiency, with some work on purchasing and policy development. With the passage of St. Louis Park’s Climate Action Plan in February, Pinc’s role has become more focused on emissions reductions and implementing the plan. John Paulson is the project/environmental/regulatory manager in Hutchinson. Paulson works closely with Hutchinson’s Facilities Committee on benchmarking and energy efficiency, coordinates environmental and sustainability projects with other city staff, and works on water and wastewater regulation. A city can realize many benefits from having staff focused on addressing sustainability. Below is a description of some of those benefits and how they’ve been realized in St. Louis Park and Hutchinson. Leadership: Having a dedicated staff person who has the time, resources, and capacity to lead other staff, departments, and community members in sustainability, environment, and energy projects was brought up by both Paulson and Pinc as an important part of a city taking action on these topics. Pinc described herself as an internal consultant; leading and partnering with other departments and branches of the organization, including boards, commissions, and the City Council. “Knowledge sharing and collaboration across the organization is why having a dedicated staff person is key,” Pinc shared. 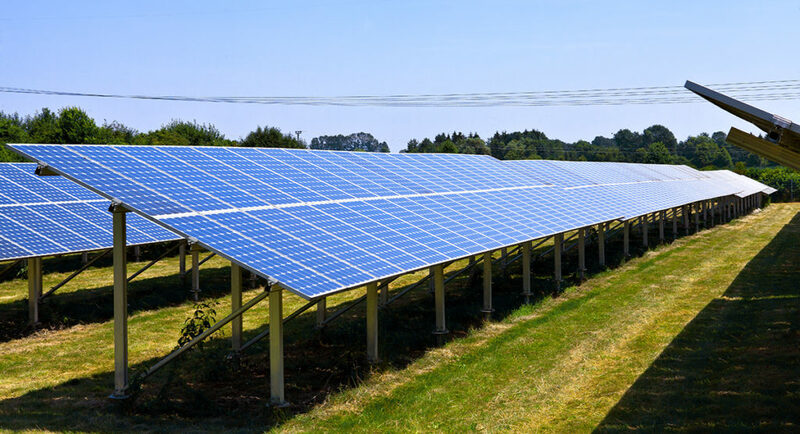 St. Louis Park installed solar arrays on two city buildings and converted four city buildings to 100 percent renewable electricity in 2017 and has saved $250,000 annually over the past 20 years through energy efficiency projects. Hutchinson began benchmarking in 2007 and is now at an 18-19 percent reduction in energy use based on their baseline year. 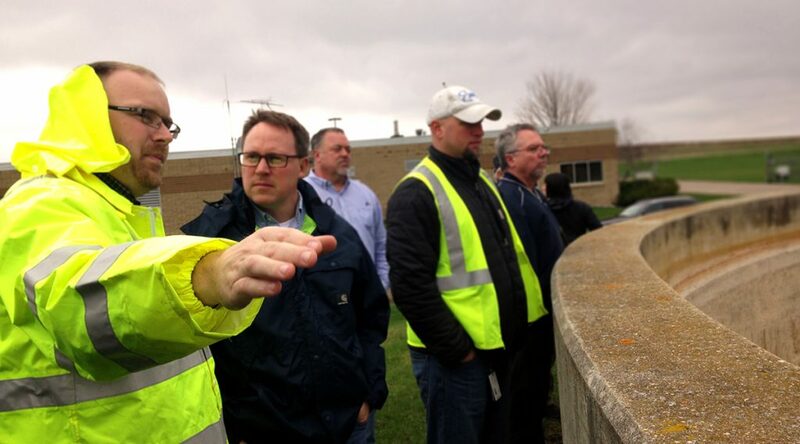 Hutchinson also began source-separating composting starting 15 years ago and was the first community in Minnesota to install a 400-kW solar energy system on a closed landfill that serves its wastewater treatment facility. The city hopes to start a Sustainability Commission. Coordination: No one person can achieve a community’s sustainability goals. Working with a variety of groups within an organization, across a community, and throughout the state was emphasized by both Pinc and Paulson as an important part of their roles. Building support within an organization around environment and sustainability goals is fundamental to the success of this work. Pinc pointed out that many departments within a city are tasked with different aspects of sustainability. Her role is to provide a sustainability lens through which they can continue their work. “It’s been a culture that’s been building throughout the organization […] people are using the Climate Action Plan as their guiding document [for their work]. We have become a city where this is becoming our culture, this is a lens through which we have to view our work, and these are the tools we have to do that,” Pinc explained. In both St. Louis Park and Hutchinson, the city staff dedicated to this work also coordinate with community members interested in environmental and sustainability projects, including school districts, local businesses, students, and citizens. Pinc explained that her role sometimes involves serving as an ambassador of sorts with local businesses to inspire and assist them with goals related to emissions reductions. Both Pinc and Paulson also discussed coordinating with organizations such as the Great Plains Institute on using LoGoPEP tools and connecting with larger networks through GreenStep Cities and the Minnesota Clean Energy Resource Teams to better understand what other cities are doing and to learn from each other has been integral to their efforts and projects. Paulson explained that since there are not many cities outside of the metro-area in Minnesota with a dedicated staff member on these topics, it is especially useful to get plugged into these programs to learn more about best practices for doing this work. Pinc shared that when she started working in this field, she coordinated with staff in other cities to learn from them and to understand the processes that they had in place to get this work done. Advocacy and Engagement: Paulson emphasized the importance of amplifying the work that the city does on sustainability and energy. “I think having someone who identifies ‘hey this is a great thing’ (…) is really important. I think that’s a key part of this; to be an advocate,” Paulson explained. He went on to say that “we should be screaming it from the rooftop, that we are doing this, and that other people are doing this as well.” It is beneficial for a community to have a dedicated staff member that celebrates the community’s success. Such amplification can help community members understand how the government is making decisions and saving money, assist other communities in learning what their peers are doing, and increase understanding among internal stakeholders about the ways in which sustainability goals fit into the strategic priorities and plans of the city. Just as each city has a distinct role for environmental/sustainability staff, each has a different community landscape that may change the process for hiring someone to be dedicated to this type of work. Pinc has been in her position with St. Louis Park for three and a half years and is the first person to fill this position. Prior to the creation of her role, the city’s Environment and Sustainability Commission had been in place for a few years. The Commission encouraged the City Council to create a full-time position “because they felt it was important to have one staff for whom [sustainability] is the main focus.” Pinc described that overall, it was “just a natural step” for the community to create the position. As evidenced by Pinc and Paulson’s responses, there is no one size fits all path toward creating a position that focuses on energy and sustainability. Rather, each city’s priorities and unique resources create an opportunity for different focus areas in these positions. Cities are working hard to address sustainability issues, including climate change. 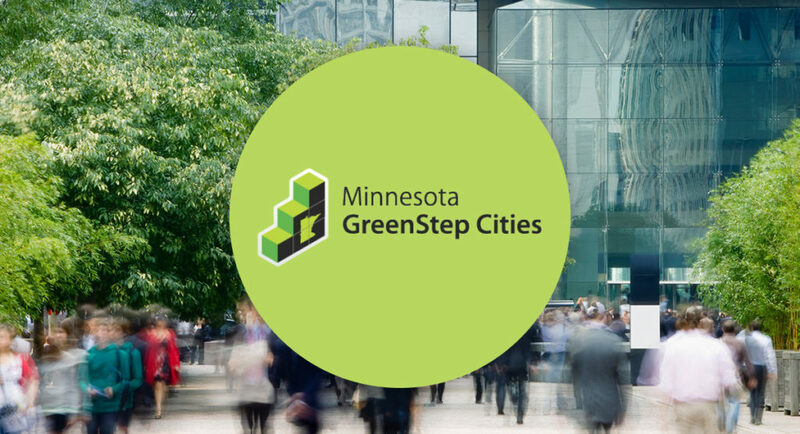 Over 100 cities and tribal nations across Minnesota participate in the GreenStep Cities program that helps them achieve their sustainability goals. Having a staff member dedicated to these topics helps cities move forward on community resiliency, clean energy deployment, and greenhouse gas emission reductions. Indeed, a growing number of cities have staff dedicated to this work. Paulson emphasized the importance of all communities across Minnesota to be involved in this movement. “There’s definitely a need. I think in out-state Minnesota, [there are] a ton of opportunities to improve on efficiency, improve on how our facilities are operated, and [incorporate] benchmarking. Communities in out-state Minnesota need people to see [energy and sustainability] goals through, and to bring it to the forefront. [These] positions are definitely necessary and needed” Paulson explained. Minnesota cities are doing great work on energy, climate, and resiliency; but staff are often stretched thin. The accomplishments of St. Louis Park and Hutchinson are due in part to having dedicated staff specifically focused on these topics. Hutchinson, according to Paulson, has saved over 1 million dollars in energy costs through energy efficiency efforts. St. Louis Park has set the most ambitious climate action goals in the state of Minnesota to be carbon neutral by 2040. 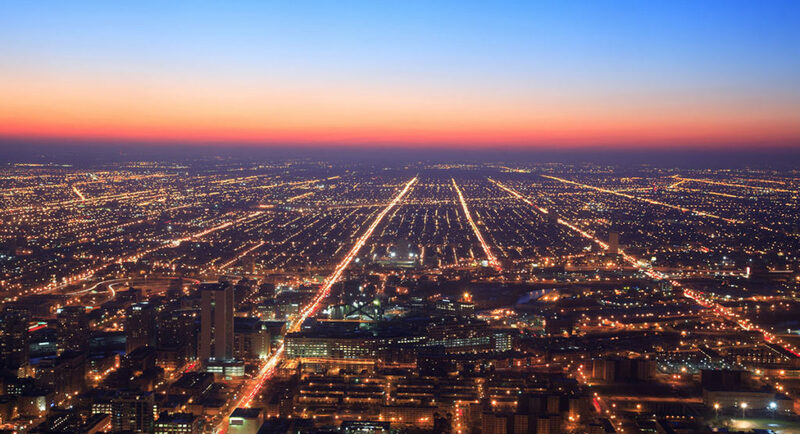 With dedicated staff, these cities have been able to advocate for clean energy, partner with external and internal stakeholders to implement projects around energy and climate goals, and build on community efforts to further these goals.